If the recession has taught us anything, it has taught us that “experts” can get burned just like the rest of us when it comes to investing. When financial times get rough, we all look to these experts to save our hard earned cash for us the right way….and for the most part, they can’t. In a world full of free financial planning information; websites, books, and blogs, the question is: are we all receiving a sufficient return on our investments to justify paying a financial “professional”? If the answer is ‘no’ or ‘I don’t know’, then perhaps it is time to fire our advisor and learn this personal finance stuff for ourselves. A true financial planner provides guidance and a process of determining the best ways an individual can meet important life goals through the proper management of financial resources. They are driven by a process not a product. This is true in theory, but even “fee only” financial planners I have met over the years fall short of this criteria. I’m going to skip the whole part here where I compare what a financial planner should and shouldn’t do when talking to us about our money: We need to know how money works and how it grows. We cannot leave our financial lives in the hands of others. Screw that. We need to be the experts. I am not telling you to go get a degree in financial planning. I am, however, telling you to go learn about how the stock market works, what a mutual fund is, the difference between a ROTH IRA and a TRADITIONAL IRA is, and how to calculate your net worth. You are capable of making good decisions for yourself. At the very least, you are capable of learning enough to ask the important questions when hiring a financial advisor if you must do so (preferably a fee based one!). As for myself, I trust no one. I have been burned too many times by jackasses who tried selling me whole life insurance plans (DON’T DO IT! ), or investments with high PE ratios (if you don’t know what a PE ratio is, you need to…). Don’t be scared that you won’t be able to retire without a financial advisor. Ask thousands of sixty-somethings who planned on retiring in the last few years how having a financial planner worked out for them. It didn’t. You have worked extremely hard for your money. Learn how to invest it wisely. You need an emergency fund. Start this immediately, and save between 3-6 months of living expenses in it. If you do not have an emergency fund yet, stop investing now and start building it. Invest at least 15% of your gross salary in an IRA, 403(b), or other tax-deferred plan. If you do 5% now, go up to 7% for 2 months and get used to it. Then up it to 9%. You won’t miss the money. If you are creating a monthly budget and watching your expenses carefully, I bet you could go up to 30% if you really try! You can do this. Don’t try and beat the stock market with your investments. You are not going to beat the stock market. You aren’t. Try the Vanguard Total Stock Market Index Fund (VTSMX). Go read John C. Bogle’s Little Book of Common Sense Investing. That will set you straight real fast. Trust me on this one. Pay off your debt (this should be goal #1, but if you have been reading this blog long enough you are probably on the way towards doing this). You do not need to hire an expert to handle the money you have worked so hard to earn. Why would you do that? Ask yourself: How do financial planners earn their money? They earn it off of fees they charge you. You are not going to get rich off of your retirement plan, so don’t try. Simply try to earn as much as you can without paying a lot of fees. The way to do this is to do it yourself. We all have enough info at our fingertips to do this, so take control today and learn about how money works! What about you? Do you hire a financial planner or do it yourself? 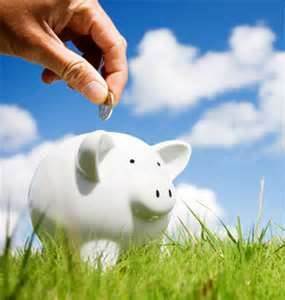 What are your tips to planning your own finances? Can You Be Your Own Financial Planner?